On OA Guys puts together a team to rescue John and the captured lanterns from the Keepers. 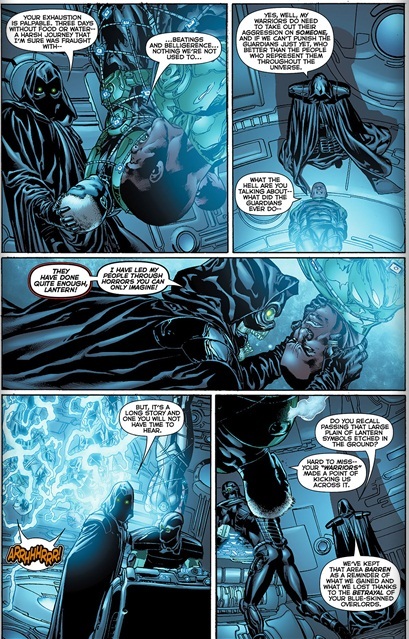 Martian Manhunter telepathically gives those assembled the history of the Keepers. 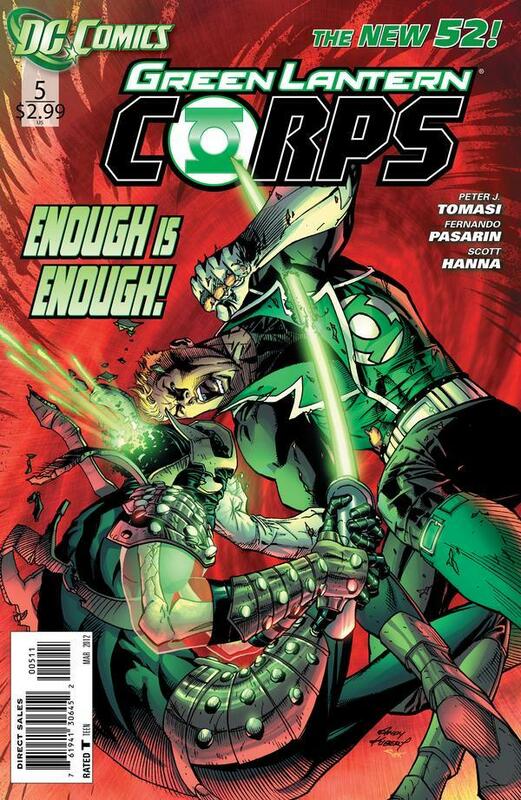 On the planet of the Keepers John Stewart and the captured lanterns are tortured in hopes that will tell the keepers how to infiltrate the guardians lair undetected and steal the central power battery. Guy and company then raid a pirate ship for weapons before heading for the keepers! Art-Fernando Pasarin every issue I love your art more and more! Gritty dark and fitting for the space war in every issue. Story- The slow overarching storyline that’s been building since the new 52 launched has me both intrigued and excited. 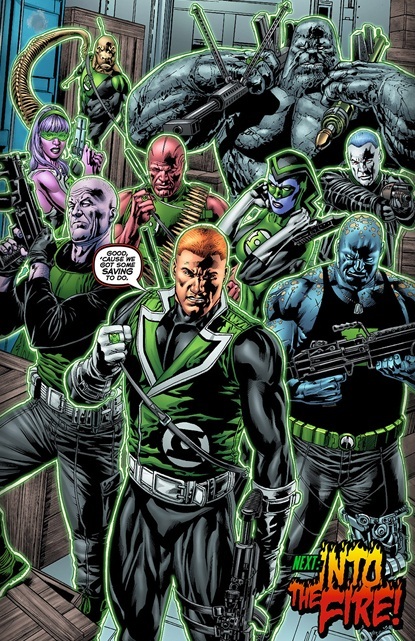 The revelation of who the Keepers really are, their plan to enact vengeance on OA, John Stewart a prisoner and now a band of the toughest veteran lanterns on a mission led by Guy to rescue John from the clutches of the enemy behind the guardians back? Peter Tomasi I’m super excited to see where this goes! Characterization- John Stewart shines as a tough as nails army veteran captured behind enemy lines while Guy’s hot headed nature is showcased to great effect. The team assembled also has interesting chemistry, clashing personalities and all.